Psychologists say skip the rage rooms. Think about the words you use to express anger instead. Anger often gets a bad rap as far as emotions are concerned. But just like sadness, fear and stress, it’s a necessary one. And feeling angry from time to time is an important part of the human experience and being mentally well. “A certain amount of anger is normal and healthy,” Ryan C. Martin, Ph.D., Professor of Psychology and Chair of the Psychology Program at University of Wisconsin-Green Bay, tells NBC News BETTER. It’s the emotion we feel when we are treated unfairly or our goals are blocked. And it’s reasonable to feel angry when those things happen, which can motivate us to make changes in our lives when something isn’t working. That means dealing with anger in a healthy way usually isn’t about finding ways to not feel anger or experience it less often (though for some people who have too low a threshold for anger, such a strategy might be part of the goal), Martin says. Healthy anger management therefore means recognizing when you feel angry, problem-solving the best way to react to and/or change the situation, and responding in a productive way. We feel anger when we feel that our emotional or physical wellbeing (more specifically our safety, connections or happiness) are being threatened, says Bernard Golden, Ph.D., a psychologist in Chicago who specializes in anger and anger management, who has authored several books on the topic, including "Overcoming Destructive Anger: Strategies That Work." Different parts of the brain kick into gear in response to this threat, initiating a series of physiological chain reactions, better known to us as anger. Our bodies release cortisol and norepinephrine — the stress response hormones that prepare us to “fight” or take “flight.” These hormones cause heart and breathing rates to increase, and sends blood to our extremities, away from our internal organs (so that major muscle groups in our arms and legs are ready for action). We start to sweat and our muscles tense up, Golden explains. If we experience too much anger too often, we also therefore experience these physiological changes often, which can cause a lot of damage. Experiencing anger often has been linked to problems like muscle pain, inflammation, tension headaches, higher rates of heart problems, and other complications, Golden says. And there are consequences in terms of mental wellbeing and in our relationships, too, adds Nelly Alia-Klein, Ph.D., Associate Professor in the Department of Psychiatry and Co-Chief of the Neurophyshoimaging of Addiction and Related Conditions Research Program at Icahn School of Medicine at Mount Sinai. Chronic or destructive anger (when it’s constant or when it leads you to overreact) can undermine success at work, damage relationships, and result in legal/penal consequences, she says. 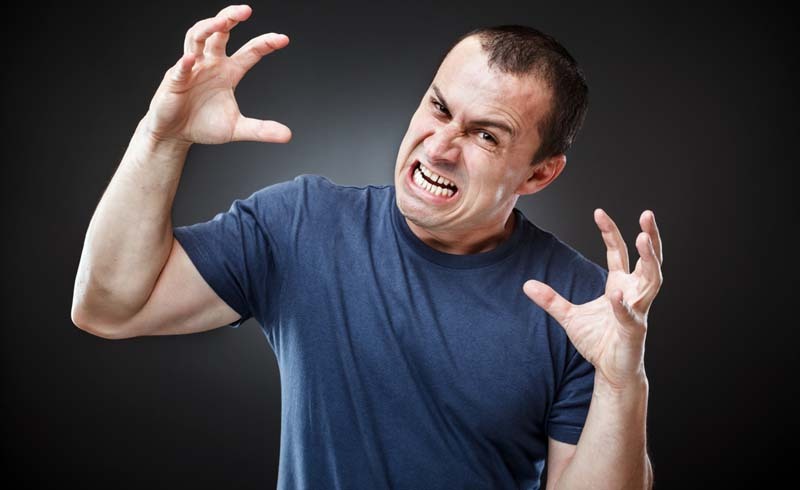 Abnormal anger is associated with the psychiatric disorder, intermittent explosive disorder, which is estimated to affect up to 7 percent of the population. “Too often individuals with anger problems do not recognize its severity [nor] the impact of their behavior on their lives and the lives of people around them,” Alia-Klein says. 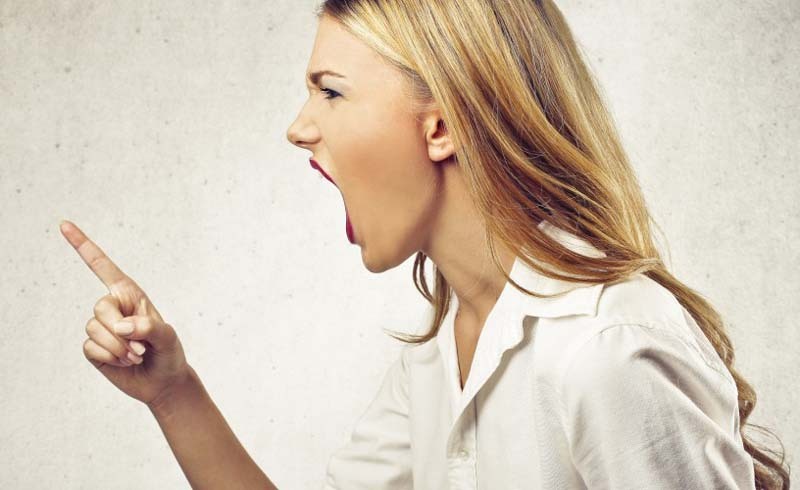 Could you be better about managing your anger? One of the biggest warning signs that you might be experiencing an unhealthy amount of anger or you’re not dealing with anger in a healthy way is friends, family or other people in your life noticing it and telling you about it, Martin says. And notice if you are unusually quick to become angry in response to routine situations (traffic, crowds, a mistake on a coffee or sandwich order), you frequently feel angry, you have trouble letting go of anger, or you have trouble forgiving yourself or others, Golden says. Do you feel guilty after an outburst (or after another anger response)? Do you scare people around you? A healthy response to feeling angry is communicating with the people who have caused that anger that you’re upset, why, and what might solve the problem or change the outcome the next time the problem comes up. This is one of those cases where words matter — a lot. Use expressions like “I feel (the negative feeling you’re experiencing, such as disappointment, sadness, or like I’m being ignored) when you (whatever specific behavior is triggering these feelings)” rather than blaming, devaluing or demeaning language, Golden says. Better communication around anger can help in personal relationships and other situations when you can talk to someone directly about the problem (it’s less helpful in situations where anger is caused by things like a computer malfunction or inclement weather). Humor or laughter causes our body to react in a way that competes with and shuts down anger arousal, Golden says. Finding a way to laugh at a situation that might otherwise anger you is way to take that momentary pause, so you can reflect and respond to the problem, rather than carrying out that knee-jerk reaction. It derails the anger response. Sometimes the problem is that unrealistic expectations fuel anger, Golden says: a lot of us rigidly maintain expectations about how those around us “should” act or behave. An example is a man who is chronically angry with his wife for being 30 to 40 minutes late to events or outings, Golden says. If the wife has behaved this way for 15 years of marriage, it’s unreasonable and unrealistic (given the history) to expect that she’s not going to continue the behavior. It’d be more helpful for the man to reframe this paradigm as the norm (and not something to get angry about). Rather than expressing to his wife he is angry, telling his wife what feelings are behind it (feeling ignored, disrespected or betrayed) can help more, Golden says. Relaxation tools work to de-escalate anger in the moment. And practiced regularly, they help decrease anger you might feel in response to potential triggers, Martin says. An important point to make is that not everything in life that makes us angry is something we can problem solve on our own (like a political decision, climate change, war and much more). This is where a certain amount of acceptance is needed, Martin says. Sure, temporarily this strategy of ignoring how you’re actually feeling means you don’t have to face whatever’s causing the problem, Golden says. But keeping your negative emotions in allows them to fester. For some, such behavior could lead to passive-aggressive anger, where you’ll take it out on someone or something else (and potentially cause damage elsewhere). Anger can spark exaggerated and dramatic thoughts, and therefore the spewing of less-than-savory language. But catastrophizing the situation (“everything’s ruined”), overgeneralizing (“he never gets it right”), and using inflammatory language (especially all of those four-letter words), doesn’t actually help fix whatever’s trigger your anger, Martin says. Instead, work on recognizing those thoughts in the moment before you lash out. The American Psychological Association says to use logic. Remind yourself the world’s not “out to get you” and try using less demanding language (“I would like” rather than “I must have”). Catharsis is often mistakenly thought of as a way to let out your emotions, especially the negative ones, Martin says — particularly when it comes to cathartic ways of dealing with anger (like rage rooms or punching bags). “They actually make the problem worse,” Martin says. Such strategies may provide a temporary release of the physical tension associated with anger, but they do nothing to actually address what’s triggering the anger to begin. Hitting a dummy offers you no insights into your feelings, unrealistic expectations, or behavior patterns you should potentially change, Golden says. What’s more, research suggests that such a response actually functions as a form of “rehearsal,” where you learn to handle subsequent anger in that way (rather than in a more constructive way).